Many visitors to Galicia stay in hotels or pensions, and this is of course practical if you are visiting city centers and like the urban environment. 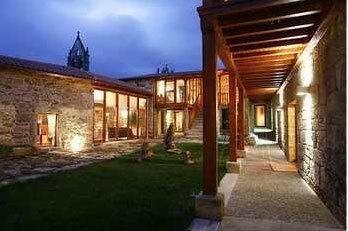 But Galicia has a lot more to offer, its nature and gastronomy can best be enjoyed in a rural environment. In Galicia there are close to 600 rural houses that are rented out to tourists that are looking to experience the rural Galicia. But living in a rural setting does not mean that you can not travel into the city center and experience them as well. For example, “Casa Brandariz” just outside Arzúa (30km from Santiago de Compostela and about 20km from the Santiago de Compostela airport) offers 8 rooms at a reasonable price well within reach of Santiago de Compostela. If you are interested in learning more about the rural houses in Galicia, you can download this brochure (PDF, 58mb). Or you can have a look at this website were you can search all these rural houses, find one in the area of your choosing, and book your stay. TIP: Have a look at this page for a listing of the rural houses that currently have some sort of special price/offer. I like rural hoses but in English they are called Bed and Breakfast. I also liked Galicia, but Santiago is not the only area of Galicia I liked. I liked the city of Lugo and the Ribeira Sacra wine region. I did not care much for the coast, but everyone is different I suppose.